The Wave is located in the Coyote Buttes North Special Management Area, which is located within the Paria Canyon/Vermilion Cliffs National Monument. This land of geological and scenic wonders is overseen by the Bureau of Land Management (BLM) and straddles the border of Northern Arizona and Southern Utah. An advance permit is required to hike to The Wave, and with a mere 20 people per day allowed to visit, it’s common knowledge that this has become one of the most coveted hikes in the American Southwest. What isn’t common knowledge is that getting a permit is one of several challenges would-be hikers might encounter when planning their trips to this area. Coyote Buttes North and The Wave are situated due East of the House Rock Valley Road (HRVR), a dirt track that connects US89 East of Kanab, Utah to US89A East of Jacob Lake, Arizona. Access from the HRVR is via a 2.6 mile (one-way) hike on the Wire Pass Trail. 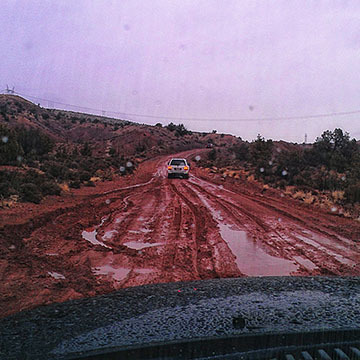 While the House Rock Valley Road is well-maintained and drive-able most of the year, there are instances where the road can be rendered virtually impassable. This is usually after a severe weather event, such as a winter snowstorm, or flash flood, which usually accompanies late summer monsoon storms. Knowing what you’re getting into before driving down this road is imperative to the success of your trip, so check with local officials before rubber leaves (paved) road. This is particularly important if you’re in a rental vehicle since off-road driving is technically prohibited, and any damage sustained by doing so will void your insurance policy and leave you liable for any repairs, towing, or associated expenses. If you learn that the HRVR is in questionable condition, and you prefer not to get your rental vehicle stuck in the mud or someplace else precarious, you have a few alternatives, the obvious one being to scrap your trip plans and try again for a permit (and all that that implies) another time. 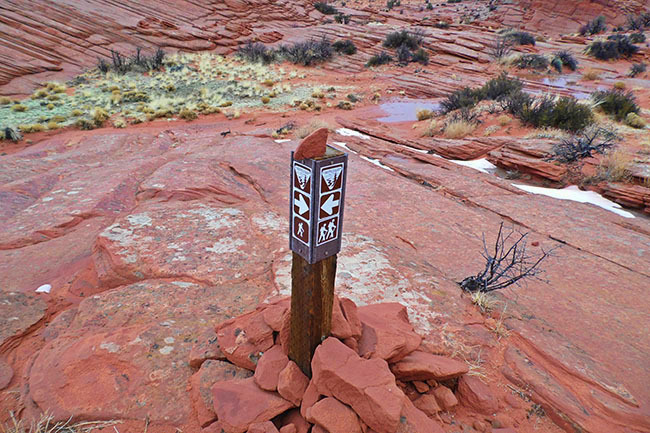 Another one would be to Hire A Guide authorized for Coyote Buttes North, who are usually equipped with vehicles that are able to slog through deep mud or sand and spider-crawl over large boulders and ruts with relative ease, and see if they can get you to the Wire Pass Trailhead (and back). Weather can make the road impassable!